Get a five-star massage in your Santa Barbara home or hotel with the click of a button. Download Zeel today! A massage therapist will come to your Santa Barbara County home, hotel, or office in as little as an hour, or schedule in advance. Relax and recuperate with a spa-quality massage in the comfort of your Santa Barbara County home. There are over 9,000 massage therapists in the Zeel network nationwide. Here are a few that are available for in-home massages in Santa Barbara County. Certified massage therapist Sonora delivers high quality, professional massage to clients throughout Los Angeles and Ventura County. She is a graduate of the Kali Institute of Massage and has worked in a number of spas and clinical settings throughout Southern California. Sonora is trained in several massage modalities and specializes in Thai massage and trigger point therapy. She uses a combination of relaxation and healing techniques to provide a holistic, refreshing session for clients. 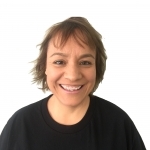 Yajaira is a licensed massage therapist with over fifteen years of experience. After graduating from Ojai School of Massage, she went on to work in a number of spas and hotels in the Ojai area. 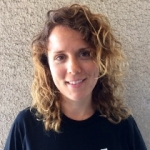 Yajaira's clients will benefit from her knowledge of Swedish, Deep Tissue, Sports, and Prenatal massage. Licensed massage therapist Chis is an active, passionate, and intuitive massage therapist who enjoys working with a wide range of clients. His personal style is a mix of Swedish, Deep Tissue, myofascial release, and sports stretches. After graduating from the Southern California Health Institute in Hollywood, Chris went on to work at a number of spas in Southern California. He is well-versed in medical massage and is experienced in geriatric massage, lymphatic drainage, and trigger point therapy. In addition, Chris excels in Swedish, Deep Tissue, Shiatsu, and Sports massage. Get your massage in Santa Barbara, CA, one of the most picturesque cities in the entire country. With a spectacular view of the Pacific Ocean and the Santa Ynez mountains, this beach city, which enjoys a mild year-round climate. It’s also home to the best-preserved Spanish mission in California, along with the University of California, Santa Barbara. Add Zeel’s on-demand massage therapists in Santa Barbara, who now deliver the best massage in the area. It’s no wonder that people clamor to work, study, visit, and live in beautiful Santa Barbara, CA. Look no further for an in-home, hotel, or in-office massage deal throughout Santa Barbara, CA. 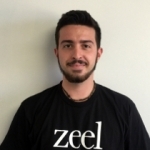 Whether you want a five-star massage at home or on the beach, Zeel is your Massage On Demand in Santa Barbara. Zeel provides Swedish massage, deep tissue massage, prenatal massage, sports massage, couples massage, and chair massage in Santa Barbara County.